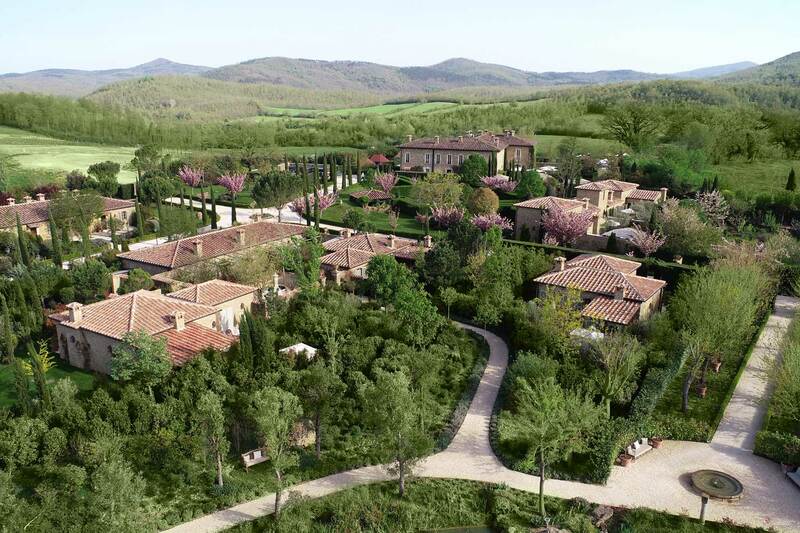 Welcome to the Borgo Santo Pietro Group! Situated in the heart of Tuscany, Relais Borgo Santo Pietro was once a healing stopover for medieval pilgrims. 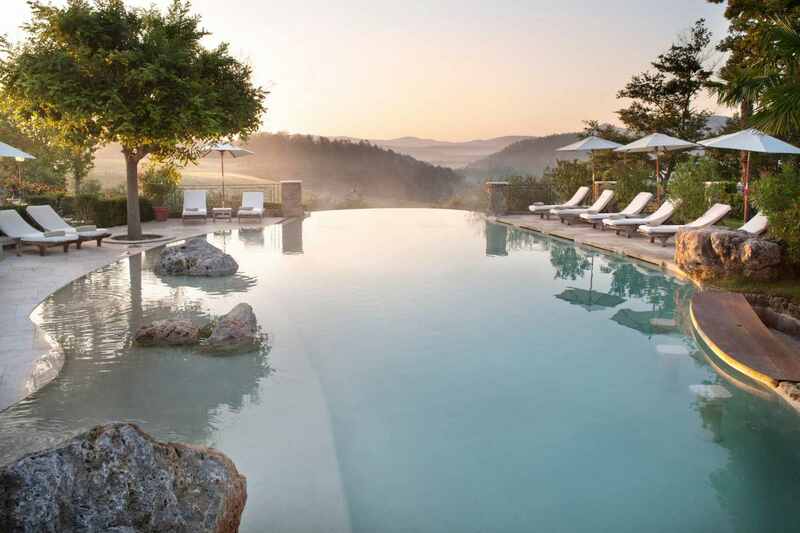 Today it continues to provide a sanctuary for modern souls, merging a 5 star luxury hotel and spa concept with a 'farm to plate' philosophy on a 230-acre estate. A sumptuous feeling of home pervades the 800-year-old luxury farmhouse hotel, with its worn leather armchairs pulled up around open fires, fresh flower arrangements picked straight from the garden, and weathered brick wine cellar lined with boutique labels. Each of the boutique hotel's 20 rooms has been singularly designed down to the utmost thoughtful detail, with custom-sought antique pieces, bespoke beds and frescoes executed by hand. Our rooms combine this intimate luxury with ultimate seclusion, as light-filled, airy interiors open onto Mediterranean courtyards dotted with sun lounges and fragrant citrus trees, or leafy private terraces with outdoor fireplaces beside private pools, lounge areas and entirely private gardens. Adjoining suites can also be connected internally to create an intimate shared interior for families or friends. A philosophy of nurture via nature and a spirit of collaboration are tangibly felt at Borgo Santo Pietro, where a teamwork of farmers, culinary gardeners and chefs work together to bring the fruits of organic cultivation to the table. 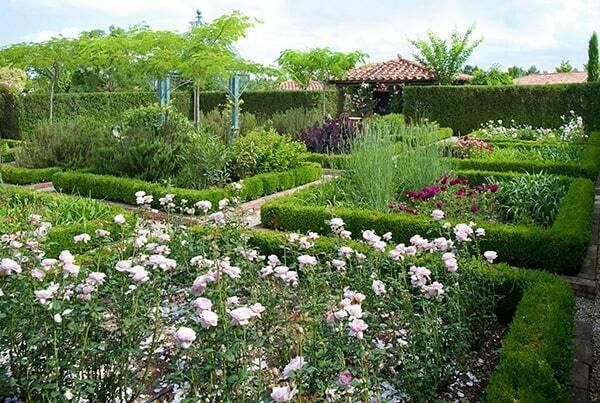 Borgo's 230-acre organically cultivated estate includes market gardens, nut fields, herb gardens, extensive vineyards and forests, some of which house the estate's drove of pigs. 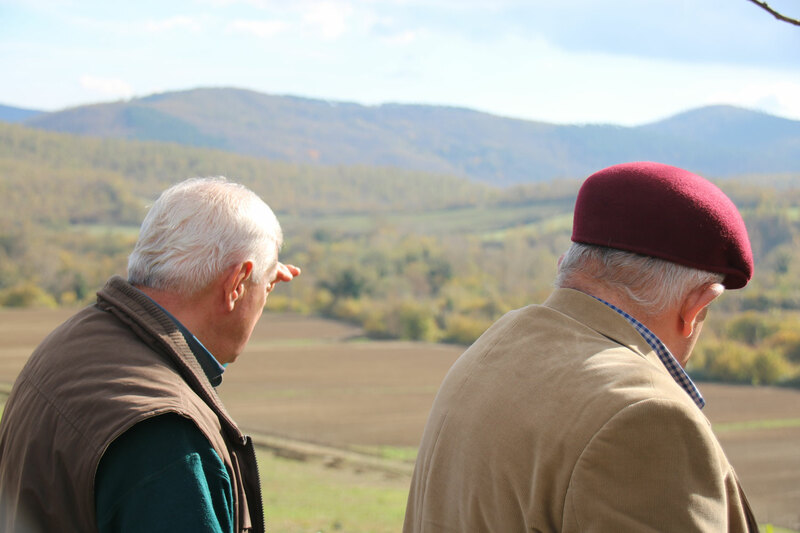 Each day the farmers collect milk from Borgo's sheep which is then transformed into artisan cheese and yogurt at the on-site dairy. The farm includes free-range chickens, honey bees, alpacas and extensive vineyards and supplies both the inspiration and ingredients for its two Michelin-starred restaurants, Meo Modo and La Bottega del Buon Caffè, as well as Trattoria Sull’Albero. The freshwater River Merse, famous throughout the region, runs through the outskirts of the estate. 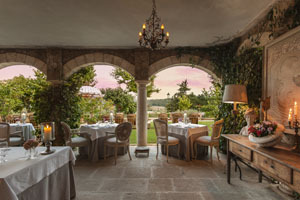 Our Michelin-starred restaurant Meo Modo is housed in the luxury Tuscan relais Borgo Santo Pietro. It offers an innovative farm-to-plate dining experience that allows guests to enjoy the freshest ingredients harvested from the onsite kitchen gardens. With an approach firmly rooted in native Tuscany, our restaurant continues to experiment and play with new ideas to transform locally-grown vegetables, artisan cheeses, sustainably-raised meats and freshly-caught fish into simple yet groundbreaking dishes. Meo Modo hosts a wine cellar that showcases nearly 1500 boutique and prestigious labels from both Tuscan and Italian producers, whose passion for wine and time-honoured techniques faithfully reflect the terroir in which each wine is produced. 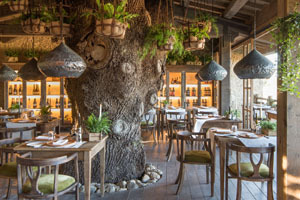 Designed around a large spreading oak tree with rustic interiors that evoke an elegant expansive tree house, our Trattoria Sull'Albero (meaning treehouse) offers a laid-back lounge and dining ambience overlooking the fields and forests of the Valle Serena. Inside, the light-filled interior evokes the feeling of dining in an immense treehouse, with table settings beneath the oak boughs, exquisite wood detailing and trailing plants overhead. Exposed beams, studded leather armchairs and a rough-hewn wooden bar create an elegantly rustic and laid-back atmosphere, ideal for enjoying a traditional Tuscan meal by the fire or a glass of wine on the terrace. The classic Tuscan menu of our 'farm to plate' fare showcases our organically cultivated ingredients sourced from our farm: freshly picked vegetables, artisanal cheeses, free-range eggs, in-house prosciutto ham and zero-kilometer sourced meat. Every Monday evening, Sull’Albero plays host to our gourmet Farmers' Market, where guests are invited to take their pick from a range of fresh meat, fish, cheese and seasonal produce on offer, watch it being cooked on the spot, and dine outdoors in a convivial atmosphere of live music. Situated under the imposing medieval tower of San Niccolò in Florence, La Bottega del Buon Caffe is an outstanding Michelin-star jewel of the city. What sets La Bottega apart from the others is the fresh ingredients that are sourced daily from its own organic farm at Borgo Santo Pietro where seasonal produce is taken from our rich vegetable and herb gardens, generous orchards and golden honey combs, and from sustainably-raised meats and freshly-caught fish. La Bottega's outstanding collection of more than 1100 wine labels has been selectively chosen. To complete the five-star experience of the stylishly classic restaurant, next door at Il Lounge offers one of the most sophisticated wine bars in which to have a drink or a light meal and L’Enoteca has a hand-picked selection of boutique and select labels from which to purchase. 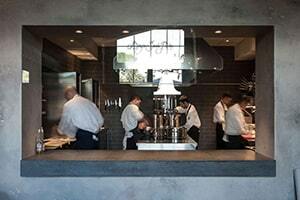 The Borgo Cooking School is more than merely a kitchen. It is a purpose-built center located inside the luxury 5-star hotel Borgo Santo Pietro estate, in the heart of the Tuscan countryside. The school offers an extensive menu of hands-on courses, classes, cooking workshops and specifically tailored tutorials for the food aficionado of any level. The cooking options are endless. Most importantly, we aim to animate your imagination and enthusiasm for experimenting in the kitchen with our team of skilled chefs and local cooks. Surrounded by organic farmland, vegetable gardens, olive groves and vineyards, students are spoiled for choice and are encouraged to forage on the estate to create an entire meal, before sitting down to dine. 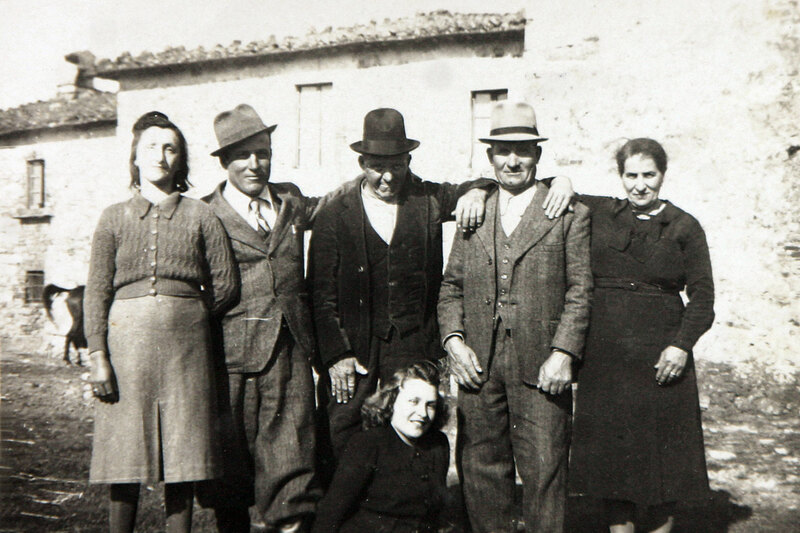 Our philosophy at the Borgo Cooking School is simple - we want to share a love of good food – Tuscan style. Within the exquisite Seed to Skin deep green glass bottles, nature and science blend seamlessly in the hand-crafted luxury skincare. Combining together the purest of natural ingredients, the secret of the skincare lays in the potency of plants, using science to extract the best possible holistic properties for targeted skin regeneration and health. Founder Jeanette Gron Thottrup has tapped her lifetime pursuit of natural herbal remedies, and joined her expertise with her passionate team of experts and scientists to alchemize a natural molecular system skincare for the face and body. Seed to Skin products have been many years in the making in the onsite state-of-the-art laboratory at the 12th century Borgo Santo Pietro estate in Tuscany. Originally a sanctuary of health for medieval pilgrims, healing is deeply embedded in the DNA of the Borgo. The Seed to Skin result is a powerfully effective holistic skincare range that is clinically proven to yield authentic cell regeneration. The 100% natural raw ingredients have been sourced sustainably and respectfully from the very best natural providers of raw materials worldwide, from the Borgo Santo Pietro estate and from its Tuscan environs. Satori, a name meaning “instant enlightenment”, was born from the idea of bringing together five-star luxury with the splendor of nature. 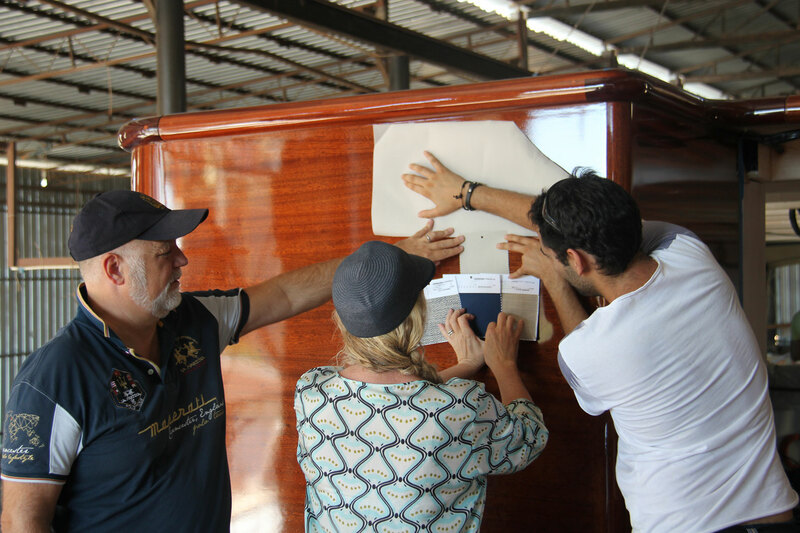 The elegant hand-carved wooden schooner is meticulously custom designed by the team behind the award-winning Borgo Santo Pietro Group. Its elegant detailing of glossy mahogany, teak and walnut and its expansive window views evoke the bygone sophistication of a 1920’s or 1930’s schooner while it encompasses all the amenities of contemporary luxury. The state-of-the art sophistication of its five luxurious cabins, marble bathrooms, a spa facility, several quiet common areas, three sun decks with sofas, a large salon with lounge and dining, and a separate private mid-deck dining area with bar are all devised with a view to anticipate guests’ needs. The bespoke 41.5 meter vessel with its two 600-horsepower engines offer guests the choice of both motoring and enjoying the timeless feeling of sailing.Satori is available for charter throughout the Mediterranean in Italian, French, Greek, Turkish, and Croatian waters, with a flexible itinerary that can be shaped according to guests' desires. With its 20 years design experience in residential and commercial property, PN Homes remains the forerunner in conceiving and delivering exceptional projects for its global clients. As the owner of a five-star luxury boutique hotel, two Michelin-starred restaurants and a luxury commercial yacht, PN Homes' managing director Claus Thottrup possesses a keen insight into the economic investment required to realise outstanding luxury properties and anticipate the practical needs of guests and staff in a variety of commercial contexts.